Over the past few years Virginia’s Junior Sisk and Ramblers’ Choice have been making quite a name for themselves in bluegrass. Sisk was named the International Bluegrass Music Association’s Male Vocalist of the Year last year. His latest album is an excellent example of his work, and has great appeal for bluegrass fans who like songs with substance alongside sparkling musicianship. The rhythmic ‘Don’t Think About it Too Long’ celebrates making music. It is co-written by Ronnie Bowman, who also wrote the high lonesome ballad ‘A Cold Empty Bottle, a story song about a man whose broken heart (and love of sad country songs) only feed his alcoholism. ‘I’d Rather Be Lonesome’ is a plaintive up-tempo disclaimer of love for an unfaithful woman. ‘Gonna Make Her Mine’ is perkier, about a shy man’s determination to declare his unrequited love for a neighbour’s daughter. The title track, written by Sisk, is a fast-paced story song about a hard-pressed farmer who turns to crime after losing his farm. He ends up in a new prison built on his former home. The slower ‘Walk Slow’, written by Tom T Hall and his wife Dixie, takes a more contemplative, philosophical approach, advising living like a small child to appreciate life fully. ‘Frost On The Bluegrass’ is about the enduring pull of home. ‘Jesus Walked Upon The Water’ is a briskly delivered acappella gospel quartet. An eclectic selection of covers wounds out the set. The perfectly-constructed country classic ‘All I Have To Offer You Is Me’ works well, while the band also takes on a Carter Stanley tune, the mournful yet up-tempo ‘Our Darling’s Gone’. Most unexpected is a version of Michael Martin Murphey’s ‘What Am I Doin’ Hangin’ Round’, which also suits a bluegrass interpretation. The band’s Jason Tomlin takes lead vocals on this one. Known primarily for its now classic title track, Ricky Skaggs’ Country Boy has held up beautifully since its release in 1984. A number one gold selling album, it wasn’t as prolific as the string of releases that preceded it, but it stands as a strong collection in Skaggs’ catalog. The #2 peaking “Something In My Heart” was the first of two singles. A fine slice of neo-traditional country, the track is pleasant on the ears but not memorable enough to stand out among Skaggs’ iconic hits. The brilliant title track was the second single, a one-week chart topper in 1984. It’s possibly my all time favorite Skaggs recording, the song both infectious and effortlessly cool but more importantly, it stands the test of time sounding fresher today than back then. The rest of the project matches the exuberance of the singles. Never one to shy away from covers, Skaggs peppers a few smart selections among Country Boy’s ten tracks. My favorite is Bill Monroe’s instrumental hoedown “Wheel Hoss,” a fiery fiddle and steel number that also makes ample use of a mandolin’s charms. Skaggs also does a great job covering “Window Up Above,” a 1960 hit for George Jones. While its hard to compare, Jones does have the slight edge with his near flawless ability at capturing heartache with his voice. In comparison, Skaggs sounds a bit too clean. “I’m Ready to Go” is a cover of an old Carter Stanley co-write and a magnificent banjo centric bluegrass thumper. Like the title track that opens the record, “I’m Ready To Go” closes out the proceedings with a similar jaunty texture but instead of incorporating modern country elements, it sticks straight up bluegrass, a wonderful choice for a wonderful song. Larry Cordle wrote “Two Highways” which would become the title track for Alison Krauss’ 1989 album. Surprisingly it’s Krauss’ version that’s more upbeat but Skaggs’ rendition is far superior thanks to a slower neo-traditional arrangement that appropriately lets the ache of the lyric shine through. “Baby I’m In Love With You” is another steel accented uptempo number, and a rare love song on the album. The fluffy lyric, written by Alex Gibson, Andy Gibson, and Joe Weaver, brings the song down considerably, and coupled with the production, make the song a miss. I don’t have a problem with the drunk on love scenario but the execution is too sappy for my tastes. “Brand New Me,” the other love song, works much better because Skaggs’ character comes from a place of healing. The overall track has a bit of a Dan Seals’ vibe down to the ribbons of steel guitar woven throughout and Skaggs’ straightforward approach to the vocal. Overall it’s a good song, but there’s nothing terribly special or unique to help it stand out amongst the strongest tracks on the project. 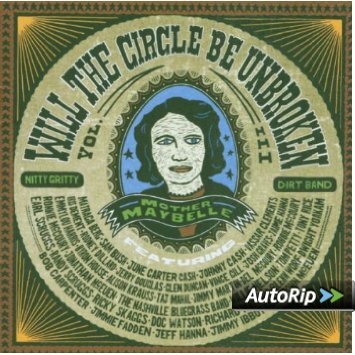 The fiddle ballad “Patiently Waiting” is one of those standout tracks. The neo-traditional arrangement is perfect and acts as an inviting gateway into the song. Another highlight is “Rendezvous,” a slightly theatrical love song about getting back to the stage when the couple first met. As a whole Country Boy is a very solid above average album with some brilliant moments sprinkled throughout. His material was stronger on his previous two releases, which is reflected in the notion that Country Boy isn’t one of Skaggs’ best-remembered projects for much beyond the title track. But its definitely still worth listening to even though its just below essential. Most country music stars record less frequently once the major label phase of their careers end, but Ricky Skaggs is a notable exception to the rule: his independent albums far outnumber his major label efforts. From a fan’s standpoint, this is a good thing, though he has become so prolific it is sometimes difficult to keep up with his output. Music To My Ears, which was released last week, dropped just a little over a year after 2011’s Country Hits Bluegrass Style and a second volume of Skaggs family Christmas songs. Like most of Skaggs’ post-1997 output, Music To My Ears leans heavily toward bluegrass; however, this is not strictly a collection of bluegrass tunes. He pushes the envelope just a bit by incorporating some Celtic instruments such as the bagpipes and tin whistle, along with the occasional electric guitar and keyboard. Some bluegrass purists may cry foul, but the vast majority of time the blending of styles works well. A prime example is “What You Are Waiting For”, an inspirational but not overtly religious number, which effectively combines some traditional bluegrass instruments — banjo and mandolin — with a piano intro, and some electric guitar tracks and background vocals that would not sound out of place on today’s country radio. Overall, however, the album’s more traditional numbers are its best — from the high lonesome sound of the opening track “Blue Night” and Carter Stanley’s “Loving You Too Well”, to the wonderful picking on the instrumental “New Jerusalem”, which Ricky wrote. And then there’s the unusual “You Can’t Hurt Ham”, a Skaggs co-write with Gordon Kennedy, who co-produced the album with Ricky. It is, essentially, a tongue-in-cheek tune about spoiled food and the supposed long shelf life of ham. While I don’t agree with his claim of “no refrigerate, no expire date”, the song is a very entertaining number. Like most of Ricky’s albums, Music To My Ears contains a handful of religious and inspirational numbers. There’s the aformentioned “New Jerusalem” and “What You Are Waiting For”, as well as the more openly religious title track, and the family-values themed “Nothing Beats A Family”. Interestingly, none of the members of the Skaggs-White clan makes any appearances on this album. The one track that doesn’t quite work is the apparent centerpiece of the album, “Soldier’s Son”, a duet with Barry Gibb. The song itself, which Gibb wrote with his children Ashley and Stephen, is not bad but its attempt to alternate between bluegrass and mainstream pop elements seems a bit forced. Aside from that,I’ve never been able to tolerate Gibb’s singing and that alone is enough to spoil the song for me. It is however, the album’s sole misstep, with the possible exception of the background vocals at the end of “Nothing Beats A Family.” All in all, however, there is far more here to like than dislike, unless one is just not a bluegrass fan. Those who are will find this collection most enjoyable. The last musical recommendation I got from the late lamented 9513 was Scott Holstein, who Brody Vercher pointed out a few weeks ago. 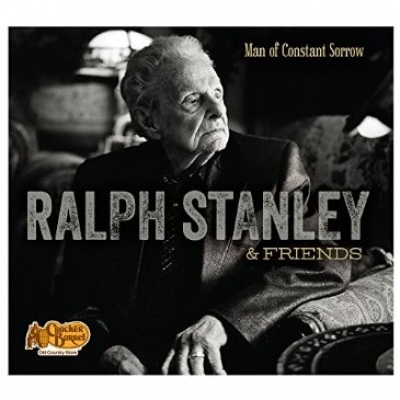 His independent CD Cold Coal Town has been produced by Scott himself alongside dobro player extraordinaire Randy Kohrs. Impressively, the entire album was recorded in one night (in Kohrs’ studio in Nashville), and great credit goes to the very accomplished band. Bluegrass backings and a soulful fusion of bluegrass-country-blues in Scott’s passionately smoky voice set this record apart. The songs, all written by Scott, are mainly rooted in his West Virginia coalmining family background, and the quality is exceptionally high. ‘The Spell’ opens the set with the protagonist railing against the woman he loves despite her “wicked ways”. It seems quite appropriate for it to lead into ‘Walls Of Stone’, the blues-infused lament of a prisoner sentenced to 99 years in gaol after killing his unfaithful wife. The sprightly instrumental ‘Leavin Charleston’ showcases the band’s tight, sparkling musicianship. Their more lyrical playing comes to the fore in another instrumental cut, the stately ’The Holstein Waltz’, which is lovely. Scott does not play an instrument on the album, but composed the tunes. ‘Boone County Blues’ is one of those cheerful sounding expressions of deep sadness which are common in bluegrass, again with really great picking. It is, perhaps, the least exceptional song here, but is still very good. The charming ‘Clinch Mountain Hills’ is a tribute to the Stanley brothers, written by Carter Stanley’s graveside and channelling his voice. Don Rigsby provides the high tenor harmony counterpoint to Scott’s gravelly baritone. The grim reality of life in the coal towns fuels much of Scott’s best work. The title track has the protagonist leaving his childhood home for a better future, and reminiscing about the hardworking miner father who “left one day and came back dead”, having advised his son not to follow him into the mines. In ‘Roll, Coal, Roll’, meanwhile, the protagonist is a weary trucker moving coal down from the mountain mines. A similar flood seen from the first person, this time caused by a coal company’s reckless clearance of tree cover on the mountain, sees locals seeking refuge, but there ‘Ain’t No Higher Ground’ to run to. This is a fantastic record, and definitely my favourite of the year so far. I’ll be very surprised if it doesn’t make my end of year top 10. You can currently purchase the CD from Scott’s website, although I understand wider distribution is being sought. Patty Loveless’ third album, released in 1988, marked her real commercial breakthrough. It was her first gold-seller (and eventually reached platinum status), and it also built on her growing success on country radio. No less than five of the ten tracks were released as singles – an unusually high number at the time. It is a testament to the strength in depth of the material that every single one was a top ten hit. Whereas Patty’s first two albums had been co-produced by Tony Brown with Emory Gordy Jr, this time Brown took sole charge, and he delivered a commercial, radio-friendly record with enough traditional influences to fit perfectly with the tune of the times. The title alone was something of a statement of intent, as a phrase which does not appear on any of the lyrics of the songs, but one which called to mind Kitty Wells’ 50s classic ‘It Wasn’t God Who Made Honky Tonk Angels’. A predominantly up-tempo set of material drew on Patty’s rock-singing past and her mountain background, intermixed with some soaring ballads which showed off her beautiful voice and emotive interpretative ability. Patty’s first #1 single was the engaging up-tempo ‘Timber I’m Falling In Love’, one of several tracks here to benefit from Vince Gill’s prominent harmonies. It was also the first #1 for its writer, Kostas. The same combination of Kostas as writer, Patty on lead, and Vince Gill on harmony (together with bluegrass vocalist Claire Lynch) was responsible for the fourth single, the full-blooded ballad ‘The Lonely Side Of Love’. Only reaching #6, it was the least successful of the singles from the album, and is one of Patty’s less well remembered songs today, but it is still a fine recording. Kostas wrote a third track on the album, the loungy ‘If You Think’, which is beautifully interpreted by Patty as a love song with an underlying hint of sadness as the protagonist defends her love against her lover’s doubts. The final single was my favorite, as Vince Gill’s harmonies again helped ‘Chains’ to the top of the chart. The downbeat lyrics about a woman emotionally tied to a hopeless love are married to an effervescent sound which is utterly irresistible. Last month we spotlighted the Class of ’89, noting the many creative and commercial triumphs that occurred during that landmark year for country music. The same year brought one of country music’s great tragedies — the untimely death of Keith Whitley from alcohol poisoning. May 9th marks the 20th anniversary of that sad day. This month My Kind of Country will spotlight Keith Whitley and look back at the great musical legacy he left behind. Jesse Keith Whitley was born in Sandy Hook, Kentucky, on July 1, 1955. Many sources cite 1954 as the year of his birth, but 1955 is what is engraved on his headstone. When young Keith was a teenager, he entered a talent contest with his brother Dwight. Also entered in the contest was another teenage prodigy by the name of Ricky Skaggs. The two became lifelong friends. Together, they became the opening act for the bluegrass band The Clinch Mountain Boys. Whitley went on to play and sing for the bluegrass band J.D. Crowe and the New South. The group released an album in 1982 called Somewhere Between, featuring Whitley on lead vocals. The album eventually led to a solo deal for Whitley with RCA Records. Whitley’s RCA debut was the mini-LP A Hard Act To Follow, which was released in 1984. The mini-LP didn’t make much of an impact on the charts. The lead single “Turn Me To Love” peaked at #59 on the Billboard country singles chart. It’s worth noting that the harmony vocals on this recording were provided by an unknown and unsigned singer by the name of Patty Loveless. Despite his very traditional voice, heavily influenced by Carter Stanley and Lefty Frizzell, RCA was pushing Whitley in a more country-pop direction, which was evident on his next project. A Hard Act to Follow was followed up in 1985 by the album L.A. to Miami. Featuring a more contemporary sound, the album provided Keith with his first top 20 single, “Miami, My Amy”, followed by three top 10 hits: “Ten Feet Away”, “Homecoming ’63”, and “Hard Livin’.” The pop influences were still dominant, although the album also contained two more traditional songs: “On the Other Hand” and “Nobody In His Right Mind Would’ve Left Her”, which went on to become huge hits for Randy Travis and George Strait, respectively. During this time, Whitley met and married Grand Ole Opry star Lorrie Morgan. Their son, Jesse Keith Whitley, Jr. was born in June 1987. Whitley was also working on a new album for RCA. The project was near completion, but he was unsatisfied with the way it was turning out. He approached label head Joe Galante, and asked for and received permission to shelve the project and start over again. He was also granted the right to have a bigger say in the production of his records. Whitley teamed up with a new producer, Garth Fundis, and began working on a new album. The result was Don’t Close Your Eyes, his most traditional album yet for RCA. The title track not only went to #1, it was Billboard’s #1 country record of the year in 1988. The album also produced two more #1 hits for Whitley, and was certified gold.